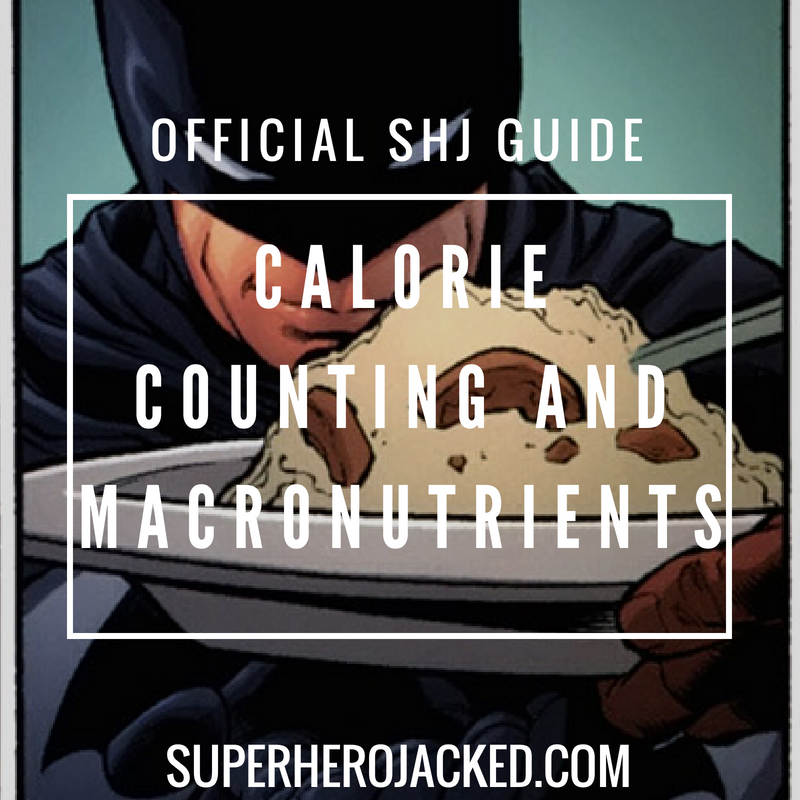 Here you'll find the nutrition pillars that we utilize at Superhero Jacked. These, if you haven't read about me at all, are a combination of techniques that I've compiled together into one diet that enables some small tweaks to be utilized for any goal. And, don't forget to sign up for the SHJ Starter Pack which comes with over 50 Workout Routine PDFs, Recipe PDFs, a Nutritional Guideline eBook, and more!!! In order to lose weight you're going to have to be in a caloric deficit. In order to gain weight you're going to have to be in a caloric surplus. If you'd like to maintain weight, you're going to have to keep your caloric intake at your maintenance number each day. It's important to be aware of your calories, and know how to count and track them, while still keeping your dietary habits sustainable. Knowing about your calories is going to help you determine whether or not you want to bulk or cut weight (or maintain, of course). I've also discussed the problems with calorie counting that it is important to be aware of as well. And, this is not to scare you away from the process, because you need it - it's merely to make sure you're aware. All calories are made up of carbohydrates, proteins, and fats. These are your macronutrients. We talk about them in the official guide, but we also have articles that break down each one further for you as well. I'll link them below. 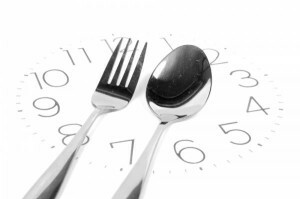 Intermittent fasting is an umbrella term for various diets that cycle between a period of fasting and non-fasting. We get tons of different benefits from fasting but just to name some of my favorites: Increased fat burning, growth hormone release and metabolic rate while also improving my appetite and blood sugar control, and cardiovascular function. Intermittent fasting not only has the amazing benefits I list within the official guide (and above, and many other articles you may have seen here), but it also is an amazing tool for controlling hunger. When I eat breakfast my hunger gets jumpstarted. I am then hungrier all day long and craving more and more food. When I fast 16-18 hours everyday my hunger is controlled and I'm MORE than satiated even when I'm cutting at a lower caloric intake. Here’s another guide (with an Infographic!) on Intermittent Fasting and Intermittent Keto Fasting! BELOW IS ANOTHER SECTION OF DIETARY PILLARS THAT YOU CAN BUILD A DIET FROM. I AM CURRENTLY COMBINING THE TWO PILLARS ABOVE WHILE. I HAVE IN THE PAST LOST OVER 50 LBS UTILIZING THE PILLARS BELOW. The reason I insert [Keto] is because I gain all the benefits of intermittent fasting, but I use it combined with fat filled coffee or tea in order to make it a “ketosis” fast. My body will then go in and out of ketosis and turn into a fat burning machine each day! Every single day I fast for 18 hours using a coffee or tea full of healthy fat (butter and coconut oil). See below! Here’s a new updated guide (with an Infographic!) on Intermittent Fasting and Intermittent Keto Fasting! To learn more about intermittent fasting, check out how Hugh Jackman got ripped for Wolverine. And here’s an article if you need help combining your Intermittent Fasting and SuperHuman Fuel to make it a Intermittent KETO Fast. 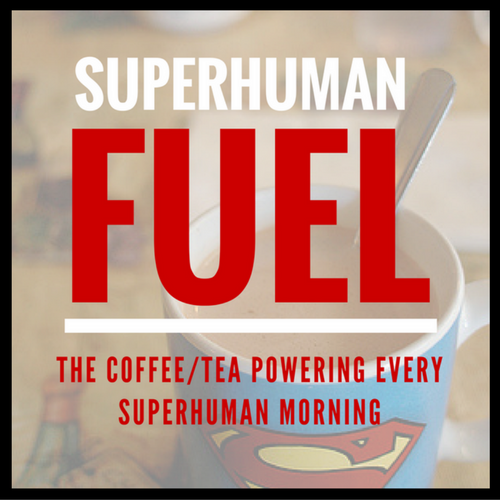 Start by trying SuperHuman Fuel before any other variation of fat-filled coffee. It will allow for amazing results – while keeping to the KISS Method. I mainly talk about bulletproof coffee here on the site because it really did change my life. It gave me a whole new way to fast and get all the necessary healthy fats to start my day. That being said, there are a couple different variations that you can use, including one that Tim Ferriss uses to make his morning tea! This coffee is full of around 200-400 calories of healthy fat and still allows us to fast each day!!! Possibly my favorite part of ketosis manipulation, cyclical ketosis allows us to go in and out of keto (different then intermittent fasting), but giving us tons of new benefits!!! The best part is it becomes like a day or two of free cheat meals…but you’re actually manipulating your growth hormone, testosterone and insulin response! This ties hand in hand with our next pillar, and is also the reason it is able to exist. The easiest way to continue the conversation about cyclical ketosis is to just send you to the full article ? 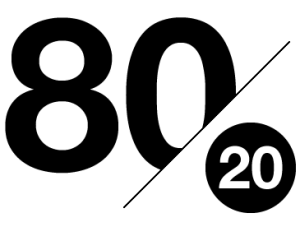 The 80/20 Method is what allows us to remember we’re just Human. This is where we explore the reasoning behind cheat meals, cyclical ketosis and an exact count on strict meals vs. cheat meals. For example: if I’m utilizing Intermittent Keto Fasting, SuperHuman Fuel and any of the other diets, I’m going to be having roughly 14 meals a week due to my morning starting with SuperHuman Fuel for my fast. That means I can utilize my cyclical ketosis (which we’ve discussed) to allow me 2 cheat meals throughout my week. Is it coming together yet? Let’s keep going… So that leaves me with a strict 12 meals, strict “breakfast” with my SuperHuman Fuel, and a fuel day of carb reloading (if I want to utilize both my cheat meals in one day), breaking it down for my 80/20 method. You have to obviously eat within your un-fasted window (duh), so it only makes sense if I give you some restrictions there. You didn’t think I was going to let you just go off on your own and pick up some binging of McDonalds everyday just because your intermittent fasting, did you? For intermittent fasting (dieting without SuperHuman Fuel) you're going to utilize Calorie Counting in order to reach your goals throughout the day. Keep in mind, you'll also be utilizing it in conjunction with Pillar Four, which we'll talk about shortly. For intermittent keto fasting you're going to utilize SuperHuman Fuel, and then also incorporate one of the three choices below within your un-fasted window. 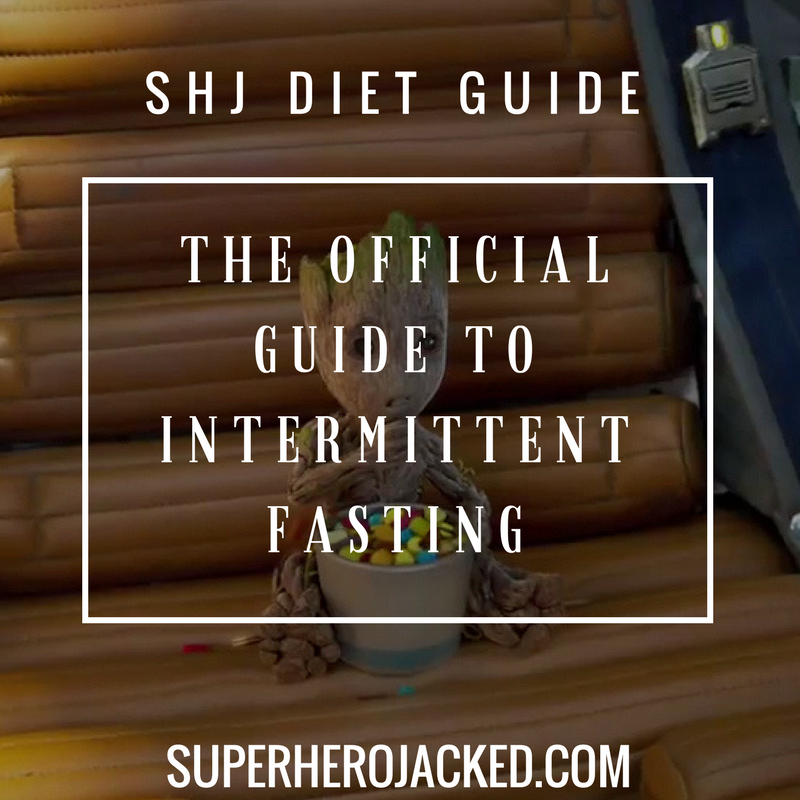 This means you'll be fasting, with the help of SuperHuman Fuel, for 14-20 hours, and then using the guidelines of another diet within hour un-fasted window.